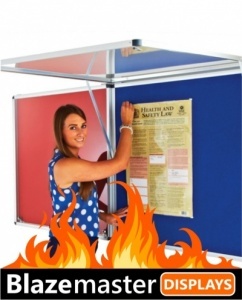 The Blazemaster fire rated corridor tamperproof notice boards are designed for use in corridor and walkway areas where fire safety is required. 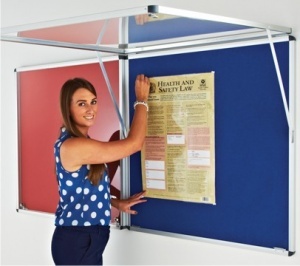 Available in 6 size formats The Blazemaster Corridor Tamperproof is a stylish aluminium framed wall mounted notice board. 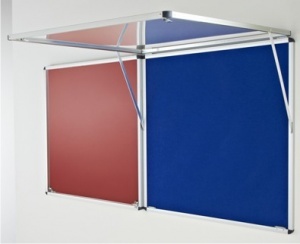 With a stylish 42mm smooth satin silver finish aluminium frame the Blazemaster Tamperproof corridor notice board is available in a choice of 9 Blazemaster woven fabric colour finishes. 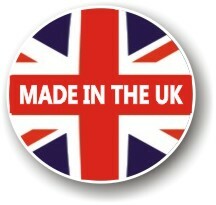 The Blazemaster fabrics are Fire Retardant to BS 5867 Part 2 and BS 467 Part 7 Class 1. The 3mm PET Glazing panels have a fire certification to BS476 Class 1Y. The Blazemaster Corridor Tamperproof notice boards have locking doors with key locks.